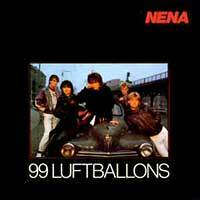 Nena ‎- 99 Luftballons – Official Music Video. The second single from band’s 1983 self-titled album. It reached number 1 on the singles chart in Germany, Austria, Switzerland, Netherlands, Austria… An english version “99 Red Balloons” hit number 1 spot in the UK, Ireland and Canada.